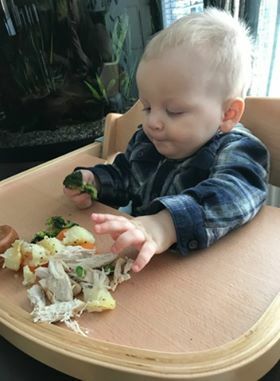 I recently upgraded Rhys highchair, previously we used a Mamas & Papas fabric highchair which at the time thought was really the best option. 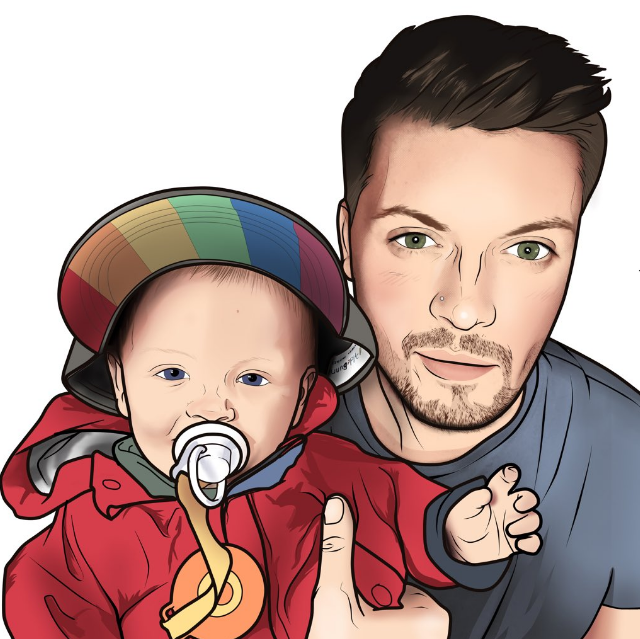 Our main issue with the fabric highchair is despite the chair being age appropriate and Rhys being fully strapped in he would slip down. To prevent this happening we had to put a cushion behind him for extra support but a messy baby means a messy cushion. Although the glossy fabric is easily wiped, the white trim is just as easily stained making the chair look scruffy and dirty on closer inspection. 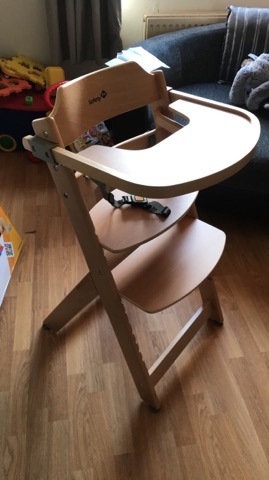 The wooden high chair is easily wiped clean, light and compact. The chair easily fits into my car boot without any folding which is great for eating at friends but best of all the chair adapts from a highchair into a normal chair that can be used until age 10.